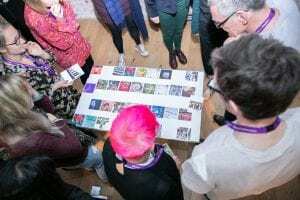 18 researchers from across the university gathered together for a stimulating day of activities, discussing, applying and developing a range of creative research methods. 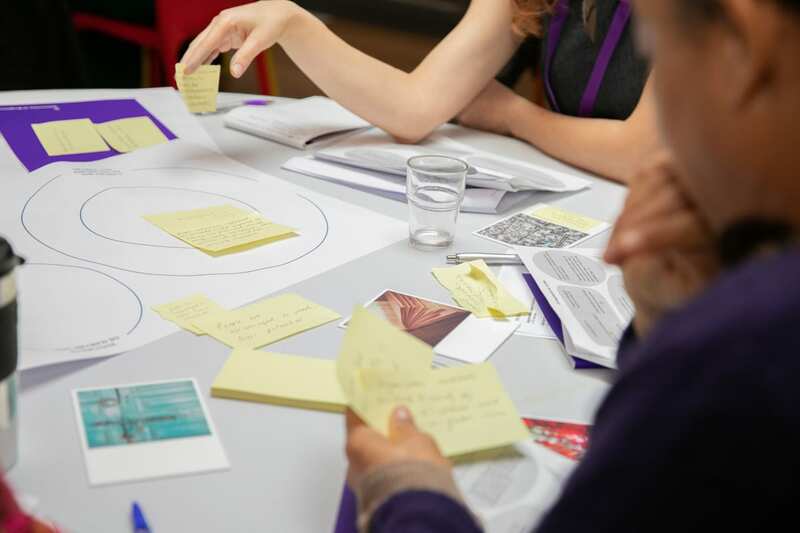 The event, which took place just before Christmas, was supported by Creative Futures, with a view to facilitating collaborations between the many researchers at Brighton who have expertise in this field. Creative methods involve approaches that are: arts-based; transformative, social-justice based; use technology in inventive ways; and/or incorporate innovative mixed-methods. All of these aspects were well in evidence at the event. Pauline Rutter and Kaliat Ammu Sanyal began the day by showcasing their work with the Values and Sustainability Research Group, using arts-based methods in a range of social justice contexts. They then gave a hands-on demonstration of their approach with a taster workshop, which implemented in-depth techniques for exploring, agreeing and enacting common values as part of a research group or organisation. Helen Johnson (SASS) followed this with a workshop based on her participatory arts-based research method of collaborative poetics. In this session, participants were supported to create cut-up poetry on truth and refugees, using guidelines and materials from a collaborative poetics resource pack. The final workshop was facilitated by Jane Whitaker (Humanities) and Hannah Sofaer (The Beacon Matrix), who led participants in a visual and tactile activity, based on the Memory Stones project. 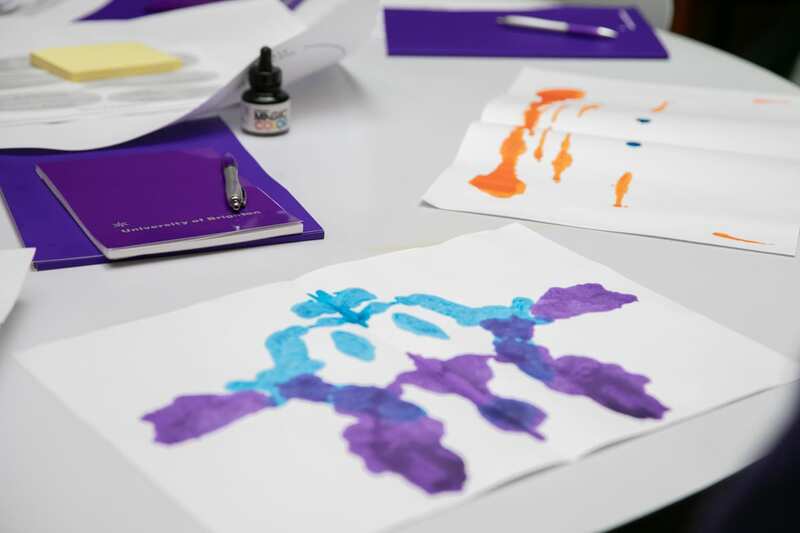 The exercise used natural objects such as fossils and leaves to explore the interconnectivity of ideas. The day then closed with a lively discussion, exploring potential future creative methods collaborations within (and beyond) the University. In the meantime, you are welcome to contact Helen Johnson (h.f.johnson@brighton.ac.uk) for further information on either event. All photographs in this post were taken by Viiktoriia Kryvonos.